Blix Solutions provides co-location services in multiple data centers in Oslo, Stockholm, Copenhagen, London, Amsterdam and New York. Co-location, also known as server housing is a service which lets you put your own servers, switches and routers in our secure data-center facilities. 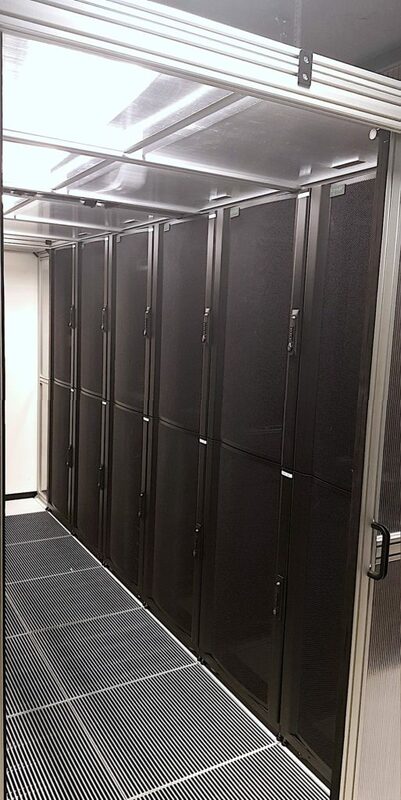 We sell racks, remote hands and housing in our own suite or shared rack facilities in other data centers. Blix Solutions have been providing professional co-location services since 2008 and this is still our core business. With our Co-location service – you operate and manage your own equipment. Remote management can be done via the Internet, and physical access is possible with our on-call duty service. We also provide an option for 24/7/365 personal access to your equipment. We provide remote hands for installation of your hardware, and assist with fault- and change management. Our team of highly skilled engineers can do on-site repairs and replacement of equipment on our customers behalf. Blix Solutions works directly with local vendors to provide quick delivery of top of the line cables and connectors, optical modules/SFP+/SFPs, server parts, and other peripherals needed for your racks. We offer from full rack to single units. Max IT-load per rack: 3kW. Facilities: Generator, A+B UPS, Automatic fire suppression, Wi-Fi. We offer high-density hosting up to 22kW in same rack. Max IT-load per rack: Up to 22kW per rack. We offer full-rack, half-rack, and single units for server and network equipment. Max IT-load per rack: 6kW. Hot desk, relax area, and big meeting room. We offer from full cage, to full rack, to single units for servers and network equipment. We offer single units for servers and network equipment. We offer full rack, and single units for servers and network equipment. Facilities: Generator, A+B UPS, Automatic fire suppression. Space: From 1U single server co-location in shared rack to private locked cage. Power: From 200Watt for a single server to 22kW redundant per rack. Network: From 100Mbps, 1Gbps, 10Gbps or even 100Gbps ports. Send us an e-mail for a tailored quote.